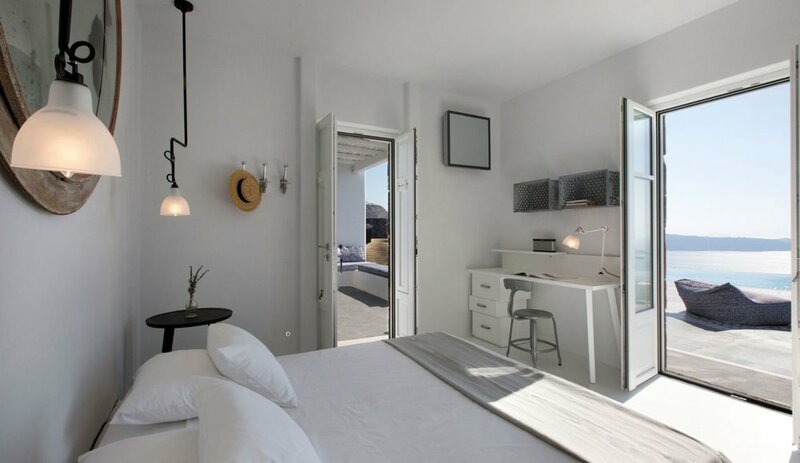 Santorini has always been the quintessential Greek island, with its magnificent white-washed architecture hugging the cliffs overlooking the azure sea. 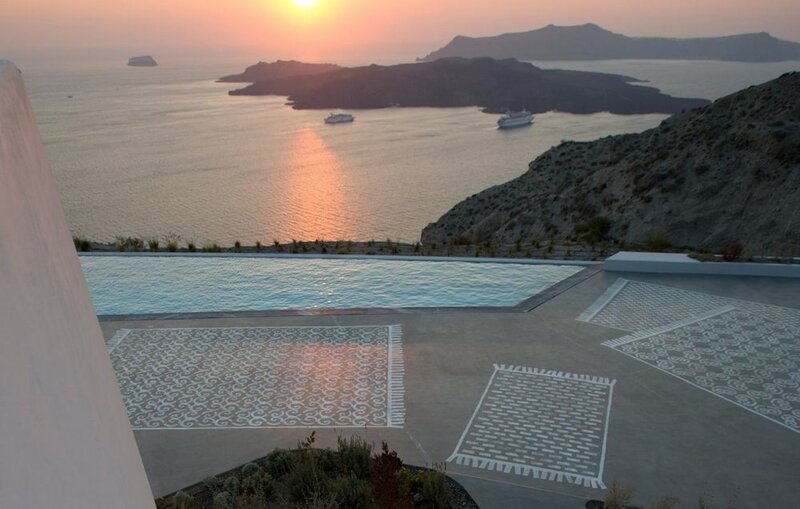 But now a new luxury private estate that opens in July 2017 will offer the most exclusive experience on this exquisite Cycladic island. 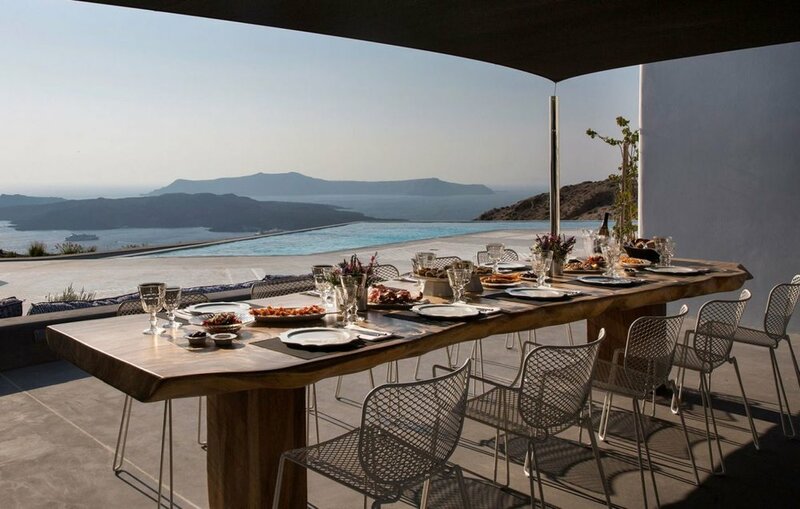 For the first time ever, guests will be able to enjoy the ultimate luxury and privacy on a beautifully designed private estate perched at the edge of Santorini’s majestic caldera overlooking the island and the Aegean Sea. 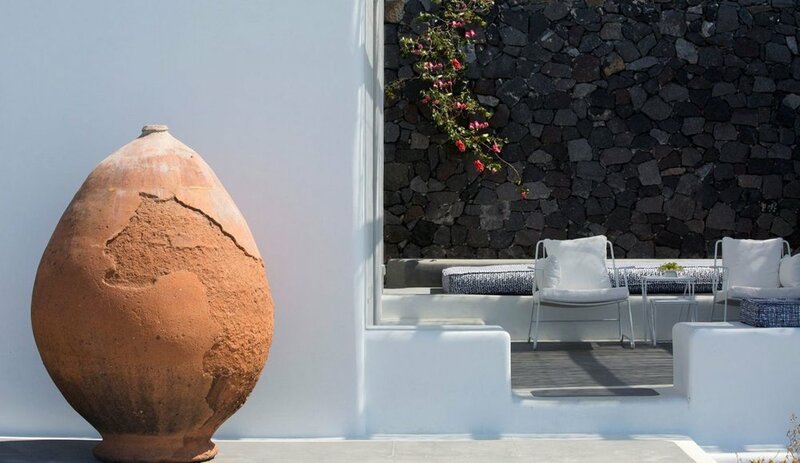 Guests staying at Erosantorini will enjoy an intimate, completely personalized break on what is unquestionably the most breathtaking island in the world. 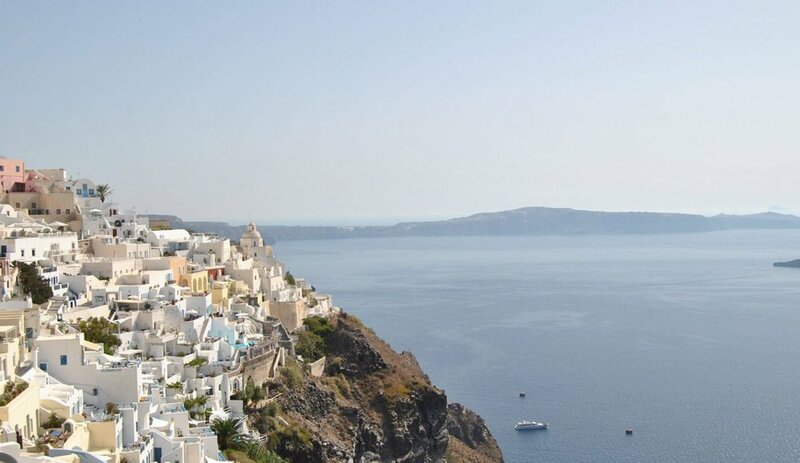 Santorini is renowned for its dramatic scenery, a volcanic landscape that is quite unique and quite spectacular, the result of a massive volcanic eruption more than 3,600 years ago. On this breathtaking little island, donkeys still transport visitors from the Old Port to the capital, Fira, above, as they have done for centuries. The carefully tended vineyards here are infused with lava, producing quite unique, crisp and delicate wines that are famous worldwide. 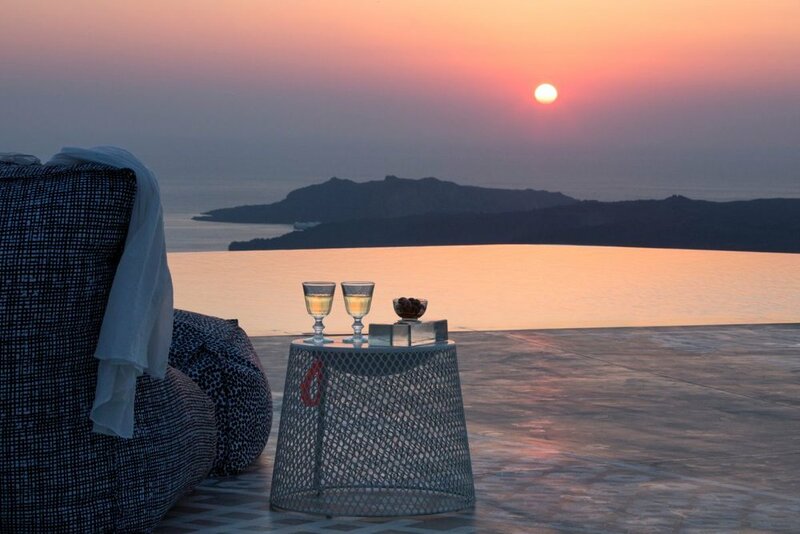 Erosantorini offers every possible indulgence to lucky guests. 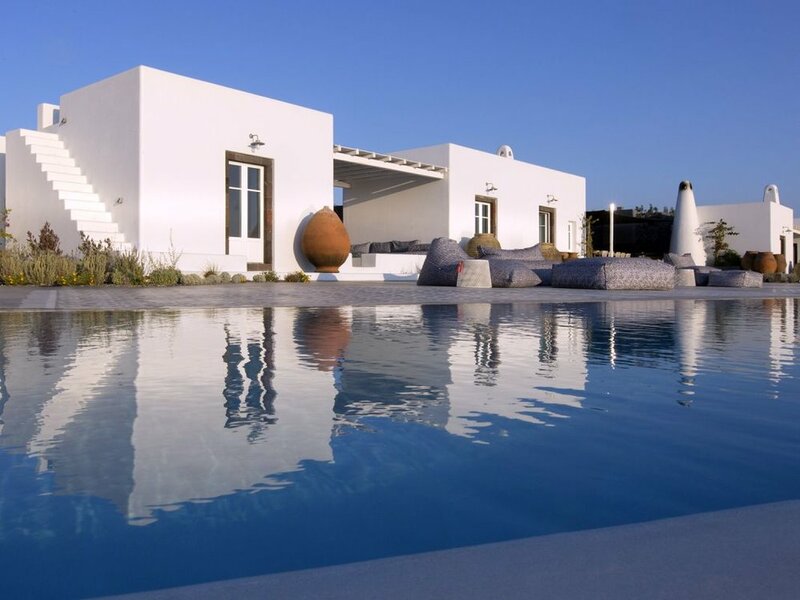 Surrounded by two acres of private land, it features just four suites and a fully detached private bungalow that were created by Athens architectural firm x2 Architecture. Together these accommodate up to 10 adults and four children. 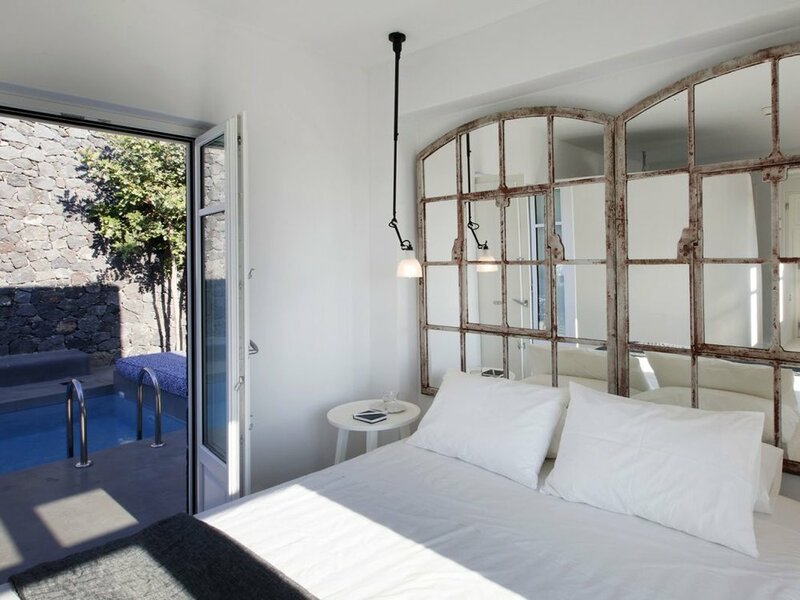 The suites include marble bathrooms, private heated Jacuzzis, underfloor heating and cozy areas with fireplaces for relaxation. 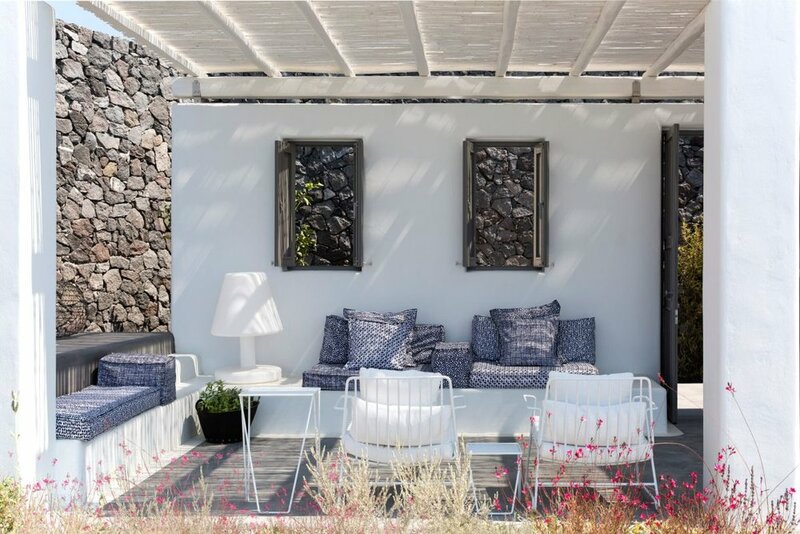 The public areas on the estate are just as tasteful, the epitome of contemporary Mediterranean sophistication designed by acclaimed designer Paola Navone to offer every possible luxury in every setting. 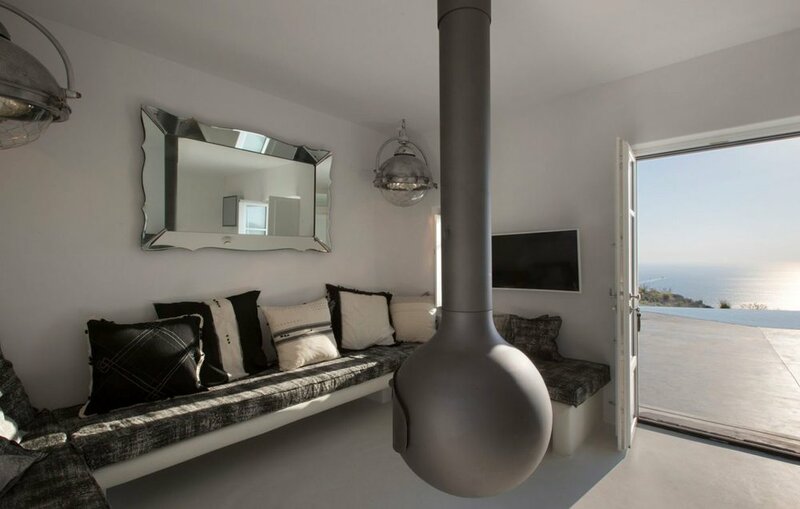 There’s a fully equipped spa, open-air home cinema, communal dining area, outdoor cooking and dining area, pool cave and a terrace specifically designed for yoga and pilates. And let’s not forget the jogging and walking track that runs around the perimeter of the estate. In keeping with the picture-perfect setting, nature plays a starring role. 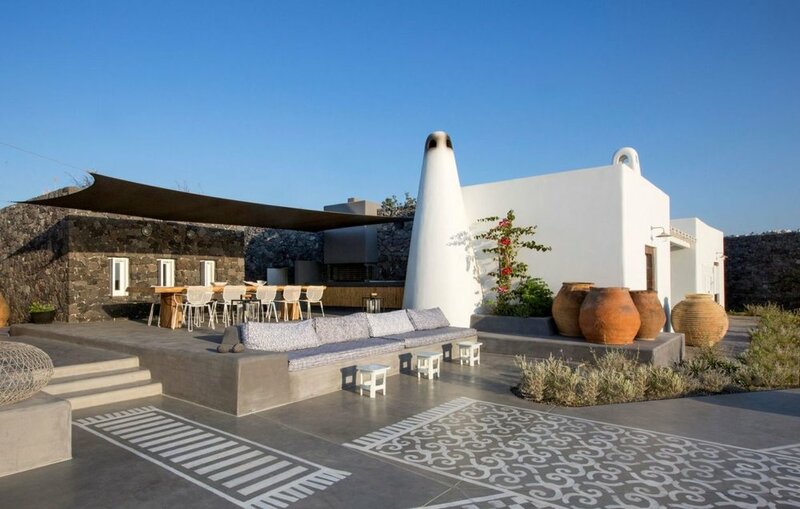 Tiered terraces lead down to a huge infinity pool (the largest on the island), and even the concrete floor outside has been painted with carpet designs to suggest a cozy home-from-home feel. 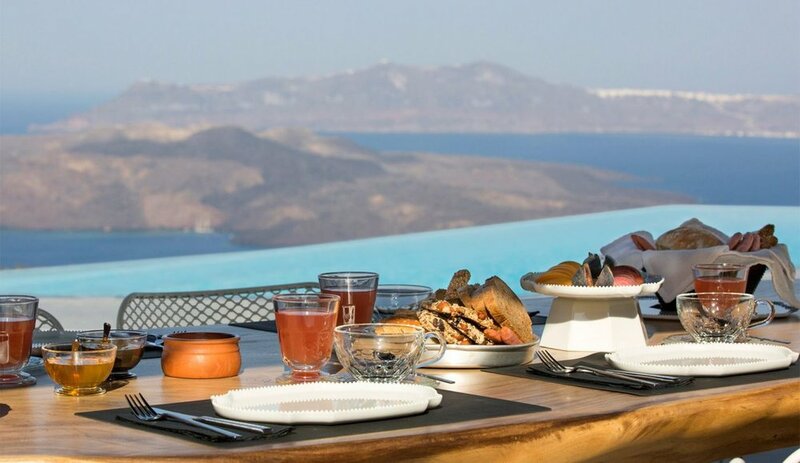 Greek hospitality is at its best here, and guests enjoy an almost limitless selection of services provided by a professional staff that includes an executive host and a concierge. 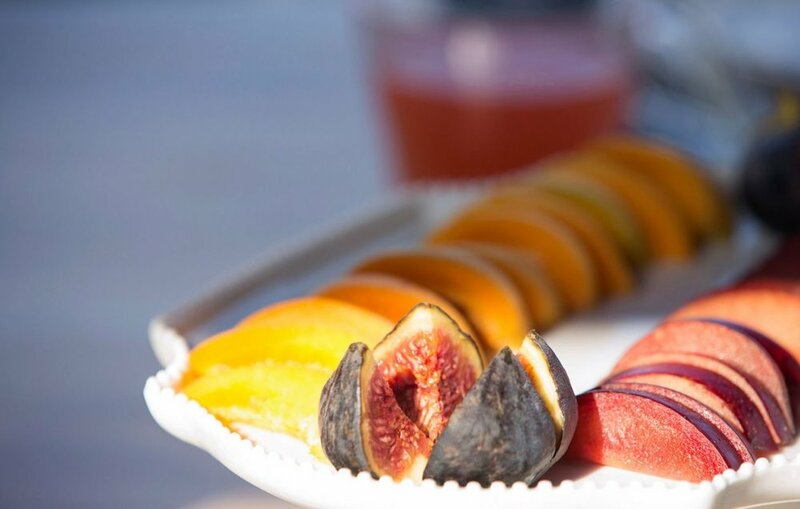 While the view and the service are both all-encompassing, the food is just as important and the chef and his team prepare exquisite meals using only fresh produce from the estate’s own vegetable garden and from the sea. 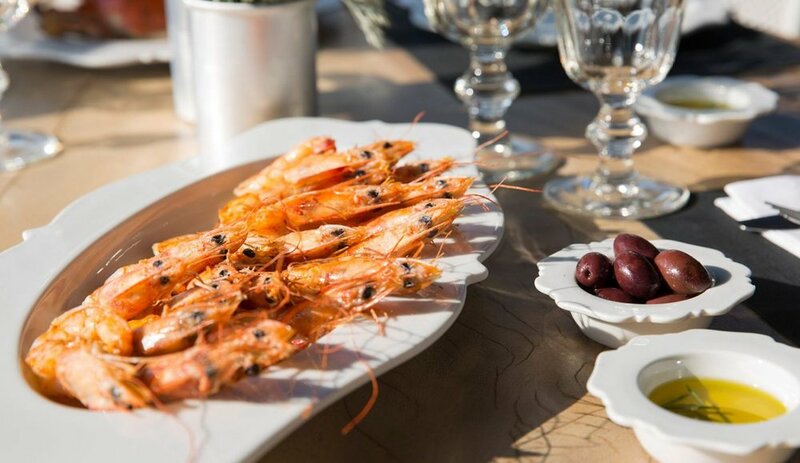 While you’re staying on the estate, you can visit the chef in the kitchen and learn about Greek cooking, or accompany him to the fish market to purchase the daily catch. 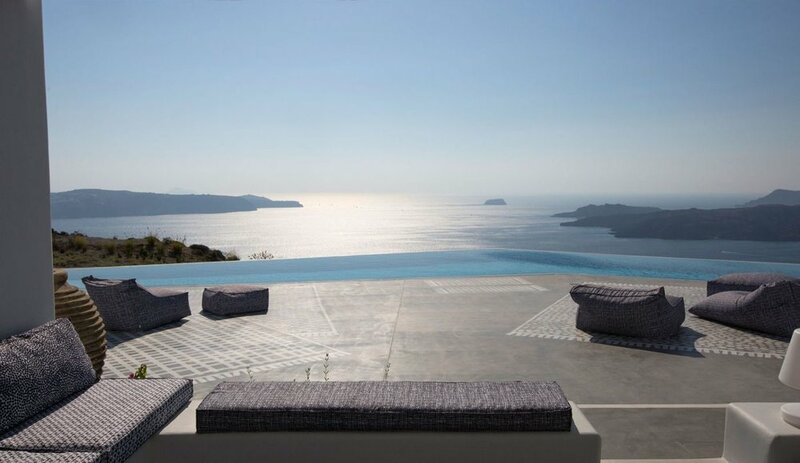 The concierge is on hand to make any further arrangements for guests should they wish to explore the island and its many delights. 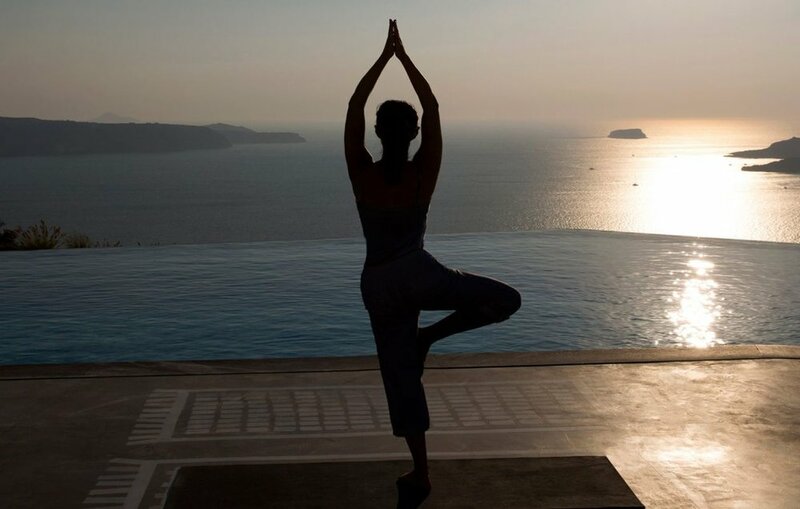 Whilst every holiday here is completely bespoke, some of the services include private massage sessions at the spa, personal trainer for yoga and pilates, private tastings in the wine cellar, cooking classes with the chef, cinema under the stars around an open fire pit, romantic candlelit dinners with unsurpassed views, yacht and sailing cruises, sightseeing by helicopter, on foot, by private car or with a driver, excursions on foot or on donkey treks, bespoke fishing, kayaking and swimming trips.